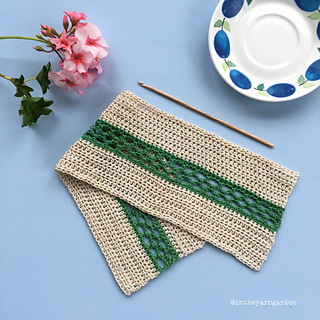 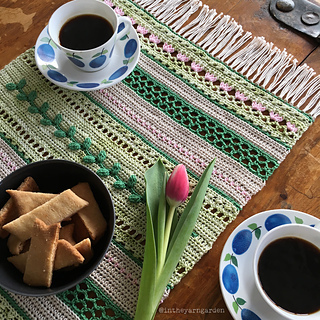 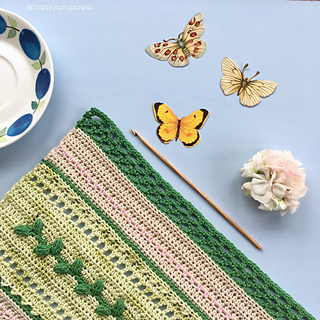 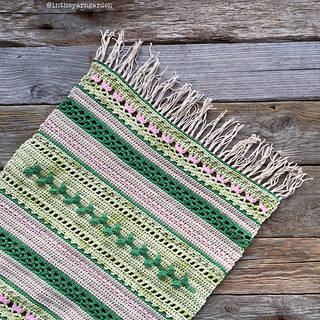 While the spring sun is shining we will crochet a classic rag rug table runner with lovely details like lace, leaves and flowers inspired by the spring . 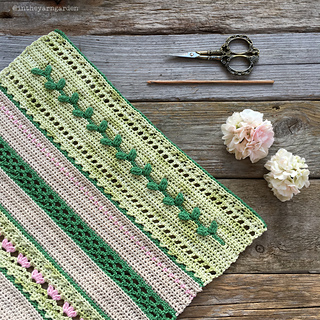 It will be perfect to put on a table during spring and summer. 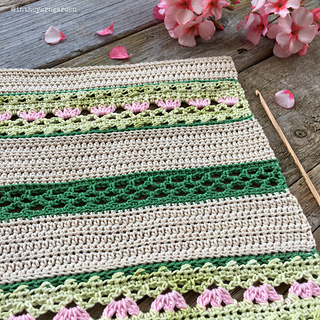 The pattern includes both a written description with images from the process and diagrams. 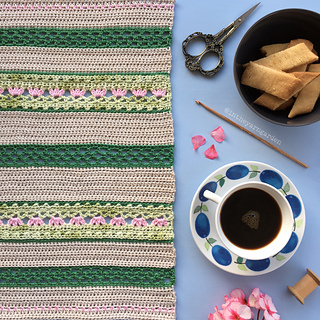 The table runner is mainly crocheted with standard stitches and all other stitches have a thorough description and corresponding image. 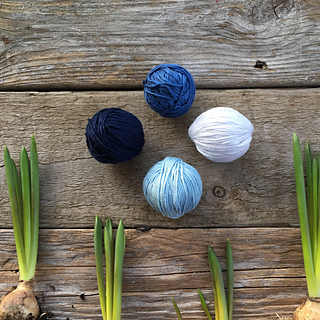 Yarn: 6 skeins (300 g) of Järbo 8/4 from Järbo Garn (100 % Cotton, “Mercerized & Gassed”). 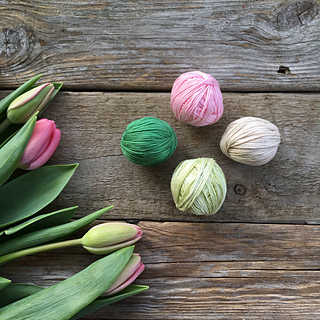 1 skein (50 g) each of color A and D. 2 skeins (100 g) each of color B and C.
The size of the finished table runner is around 32 cm wide and 92 cm long (without fringes).